Was the vote for “Brexit” an expression of nationalism? It depends what we mean by nationalism and what kind of nationalism is involved. I define nationalism as the belief that national identity provides the focus of political loyalty and is best expressed and secured through independence, usually a sovereign nation-state. Nationalism consists of ideas (elaborate statements, slogans, symbols), politics (movements, parties), or sentiments (beliefs, attitudes). So far as sentiments are concerned, I distinguish two different types of nationalism. Civic nationalism stresses shared beliefs and values. Ethnic nationalism stresses common descent, sometimes signaled by claims about religion, language, or race. We must qualify this distinction. Every nationalism invokes culture and values, and these change, often quickly. Religion and language cannot easily be labelled ethnic or civic as they are neither just a matter of personal choice, nor of fixed inherited qualities. Moralizing the distinction – e.g., civic good, ethnic bad –cannot be justified historically either. Nevertheless, the distinction helps us analyse nationalist sentiments. Nationalism can be state-supporting or state-opposing. State-supporting nationalism aims to further nationalize the state, internally by ‘purifying’ the nation and its institutions, and externally by reclaiming ‘national’ territory and extending national power. State-opposing nationalism seeks independence for “its” nation, usually by separation from a state, less often by merging smaller states. During the EU referendum vote about 70% of the electorate voted, splitting roughly 52/48 between Leave and Remain. There were some 13 million registered voters who did not vote and about 7 million people eligible to vote who were not registered. Leave votes were higher within older age groups, and generally those with less formal education, lower social groups, the retired and unemployed, and Conservative or UKIP voters in the 2015 General Election. Were voters divided in terms of “nationalism”? To quote from the summary of the exit poll of some 12,000 voters conducted by Lord Ashcroft’s polling organisation. St George’s Day 2010 – 18 by Garry Knight. CC-BY-SA-2.0 via Wikimedia Commons. White voters voted to leave the EU by 53% to 47%. Two thirds (67%) of those describing themselves as Asian voted to remain, as did three quarters (73%) of black voters. Nearly six in ten (58%) of those describing themselves as Christian voted to leave; seven in ten Muslims voted to remain. In England, leave voters (39%) were more than twice as likely as remain voters (18%) to describe themselves either as “English not British” or “more English than British”. Remain voters were twice as likely as leavers to see themselves as more British than English. Two thirds of those who considered themselves more English than British voted to leave; two thirds of those who considered themselves more British than English voted to remain. In Scotland, remainers (55%) were more likely than leavers (46%) to see themselves as “Scottish not British” or “more Scottish than British”. Nearly three quarters (73%) of remainers think life in Britain is better today than it was 30 years ago; a majority (58%) of those who voted to leave say it is worse. By large majorities, voters who saw multiculturalism, feminism, the Green movement, globalisation and immigration as forces for good voted to remain in the EU; those who saw them as a force for ill voted by even larger majorities to leave. The sentiments of a typical Leave voter can be characterised as ethnic. English identity is not about citizenship but linked to common language and heritage and hostility to immigration. Parties and politicians campaigning for Leave stressed support for the British state, claiming the need to “take back control” from foreign elites. Yet the Remain campaign was supported by a majority of the Cabinet, and only the Democratic Unionist Party supported Leave (plus a lone UKIP MP). This is ethnic nationalism which invokes the English nation in support of the British state but against the British government and elites it labelled “Establishment.” Civic Scottish nationalists supported the British government in the name of the Scottish nation and regarded the English nationalist Leave majority as another reason to pursue the state-opposing course of independence. Such complexities show why we must define nationalism, identify different types of nationalism, and connect these to how people voted. Featured image credit: Brexit “Vote Leave” in Islington, London June 13 2016 by David Holt. CC-BY-2.0 via Wikimedia Commons. 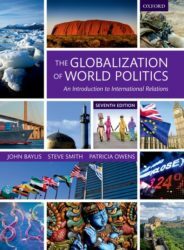 John Breuilly is author of the chapter "Nationalism, national self-determination and International Relations" in The Globalization of World Politics. He is professor of nationalism and ethnicity at the London School of Economics. Breuilly is the author of the book Nationalism and the State. The reality in England is a bit more complex than just a load of blood and soil nationalists hating EU migrants. Many English people want an English parliament, a discrete political identity and citizenship for England, including me. I am not opposed to immigration (in fact I’m married to an immigrant) and I do not exclude people from English identity on grounds of ethnicity or religion. I consider myself an English civic nationalist. I was also a Leave voter, not least because England has no voice within the EU, just as it has no voice within the UK. I imagine that if England had its own parliament and government – as Scotland has – then the English would feel more secure in their identity … and maybe Brexit wouldn’t have happened. What nonsense. More people in England identify as English than British. The suggestion here is that most people in England are white supremacists and racists. What an outrageous slur that is and one born of complete ignorance. Bitter Remainers can make up all the excuses they want for losing the vote but it doesn’t change the fact that the majority wanted out and the division between Leave and Remain is a left/right divide. Supporters of left wing parties mostly voted remain, supporters of centre and right wing parties voted to leave. It doesn’t surprise me that such hostility to Leave voters and wilful ignorance would come from someone working at the LSE though, they have to justify the £14m of EU funding they’ve had over the last 9 years somehow. The context that Breuilly omits is the “forbidden” nature of Englishness. There is an obvious interest on the part of the British Establishment to allow and encourage Englishness to be seen as Breuilly has described it. English civic nationalism would be acceptable to the English mainstream. That would change everything. English Nationalism IS an ethnic one. This has nothing to do with the conspiratorial claims made by English devolutionists (many of whom are closet ‘independence’ supporters) that people like the author of this article deliberately try and pin a ‘racist’ label on English nationalism to discredit those seeking an English parliament but because the English ARE an ethnic nation. 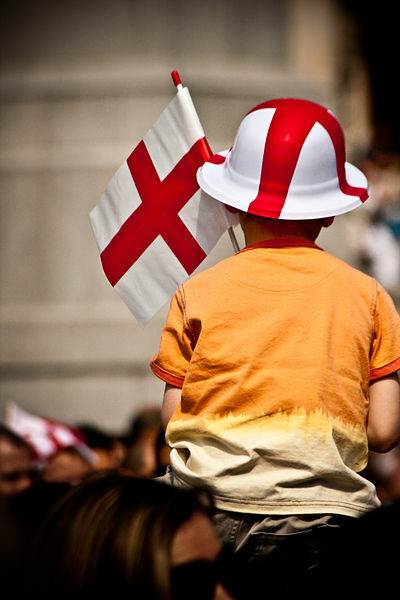 English ethnicity is a reality and REAL English nationalists recognise this fact and believe that a TRUE English nationhood can only involve accepting a FEW non-white or other non-English migrants as really belonging to the ETHNIC English nation. The distinction between ETHNIC nationalism and CIVIC nationalism is a REAL one. Basically, English nationalists SHOULD in theory be ETHNIC ones. Pakistanies in Britain, for instance, are British by virtue of their citizenship but ETHNICALLY they can’t really be English as that requires people to be BORN into an ETHNIC nation. Even many of them know this is the truth which is why they rarely refer to themselves as English. Confused English PC lefties who palm themselves off as English Nationalists like the ridiculous English Democrats party should do this too. Brexit was an English result. Not Scottish. Not Northern Irish. The force underpinning it is a very immature vision of English national identity – a nascent version of the type of ethnic nationalism folk around my age have been taught to fear as a consequence of Hitler. This was the primary reason I voted Yes in the Scottish Independence Referendum. I could see and taste and smell it back then. It’s the nationalist disaster that happens when there isn’t a politician with any sense to see that if you start to create devolved Parliaments for some partners in a ‘Union’ then you are just incubating trouble for later. And it’s what happens when unscrupulous (isn’t that just a totally superfluous adjective?) politicians come along later and capitalise on the potential for tension between the partners in that Union. Just reflect on how successful Cameron’s appeal to ‘the English’ was when he played on fears of a potential coalition between Miliband’s Labour and Sturgeon’s SNP. In fact, some believe it was fear of disproportionate Scottish influence that really jet-propelled the Labour failure (I don’t – Labour was just fucked as soon as it embraced the Tory narrative that austerity was necessary because of previous Labour financial mismanagement) and that secured Cameron his (slim) majority.